If you were glued to your computer earlier this week watching a single orange car run around Indianapolis Motor Speedway, never fear: you weren’t alone. The live stream of Fernando Alonso’s first IndyCar test has been viewed over 2 million times, per Autoweek—and continues to be watched on-demand. 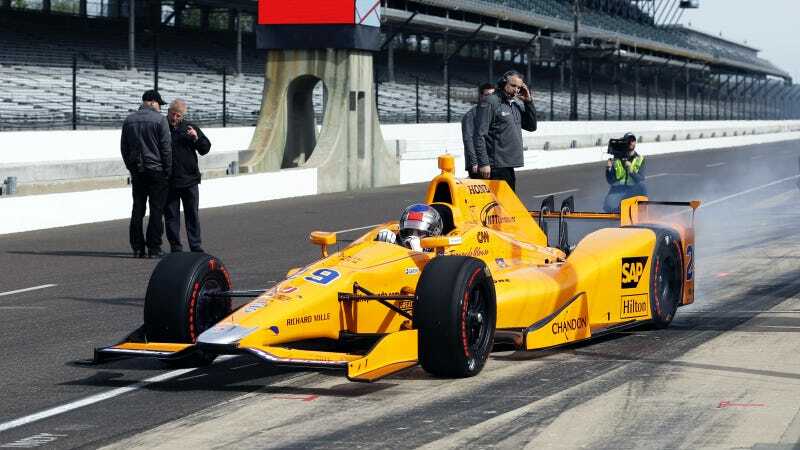 Alonso’s IndyCar run has already attracted the international attention back to the Indianapolis 500 everyone’s been hoping for. Thirty percent of all web traffic on IndyCar.com for the test came from Europe, and the United Kingdom was the No. 1 region tuning into the test’s Facebook Live stream. The YouTube viewer count isn’t final yet, but it’s expected to have had over a million viewers, according to Autoweek. ‘Fernando Alonso’ was the second-most searched term in Spain Wednesday while #AlonsoRunsIndy trended in at least seven countries, including the United States, UK, Spainm Brazil, Italy, Ireland and Poland. The #Indy500 hashtag also trended in several contries, including Colombia, Canada, Mexico and Vietnam. And this was just to watch a single orange car run very fast and kill a couple of birds. Multiple-car practice sessions for IndyCar usually don’t even get a fraction of this interest. 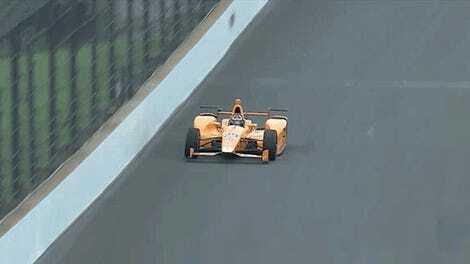 The Indianapolis 500 itself should be insane this year.